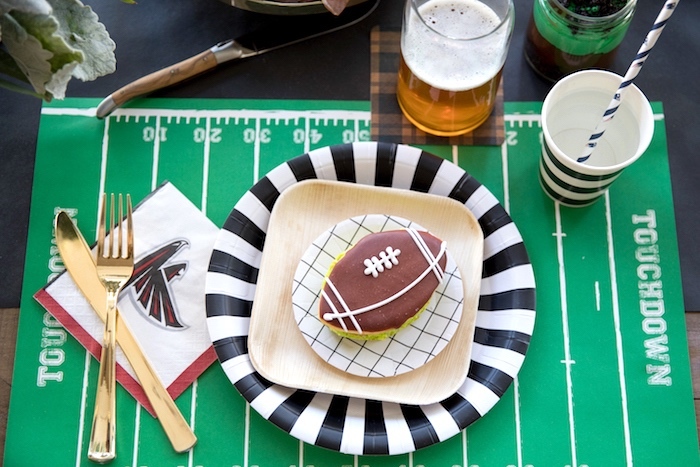 Gearing up for the big game? 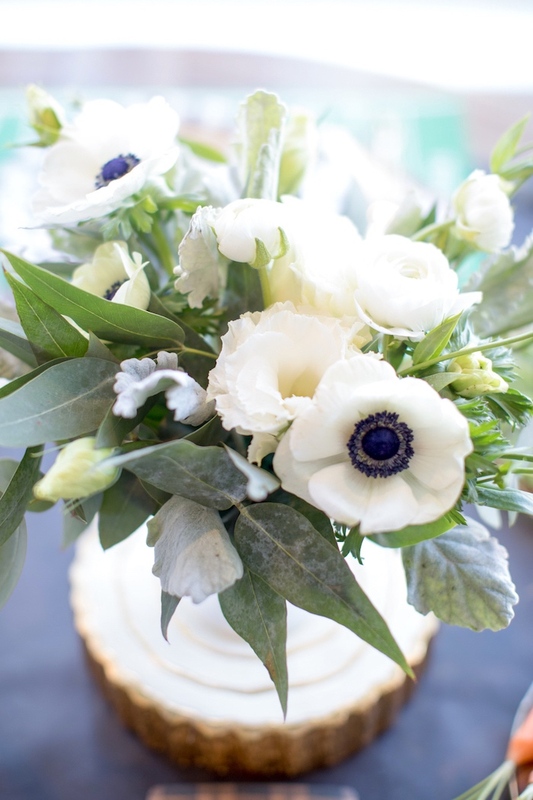 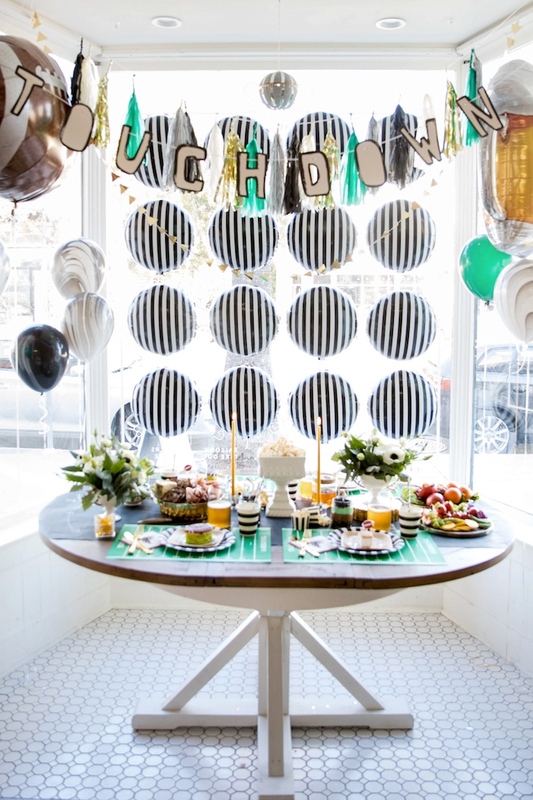 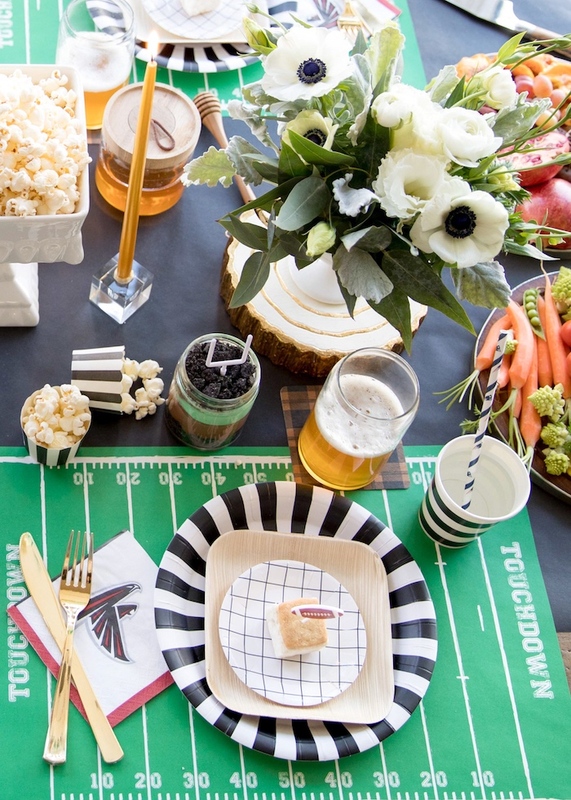 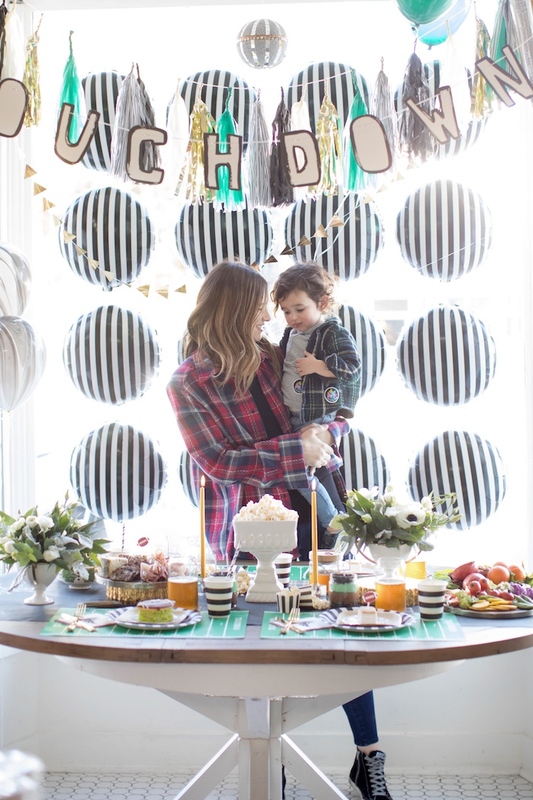 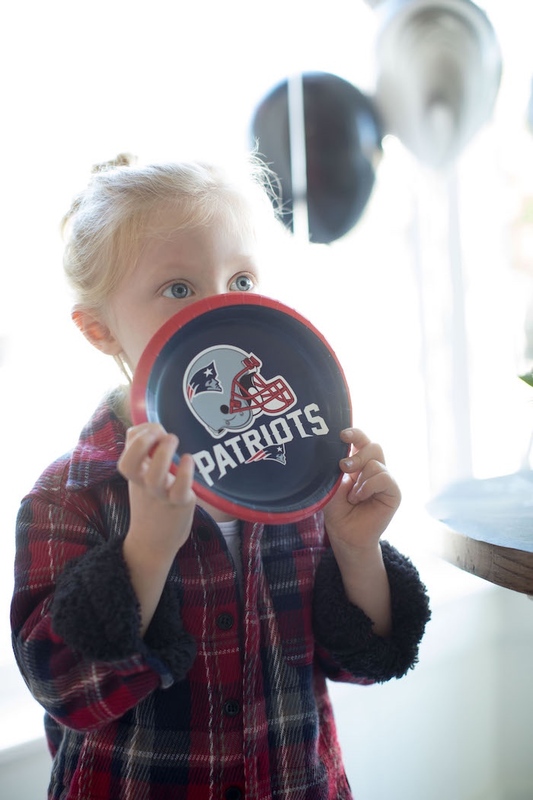 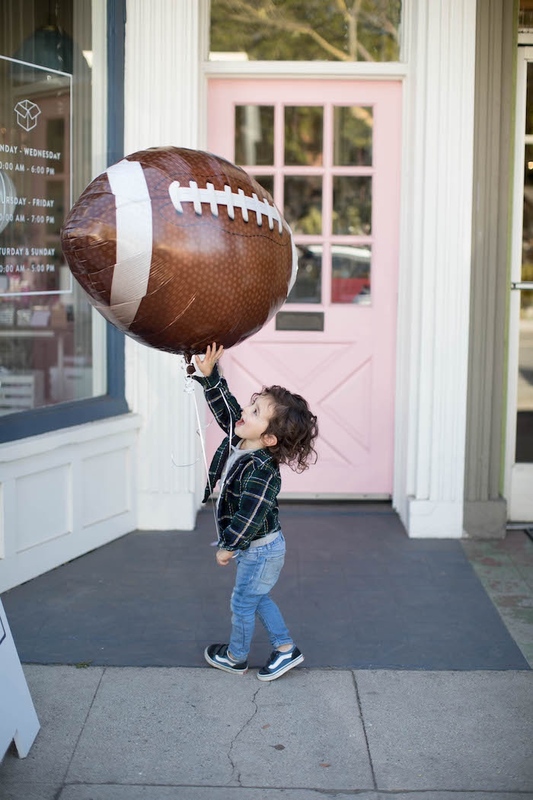 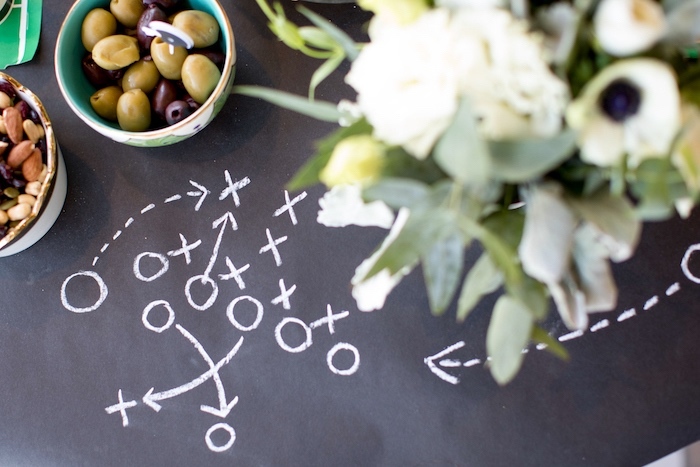 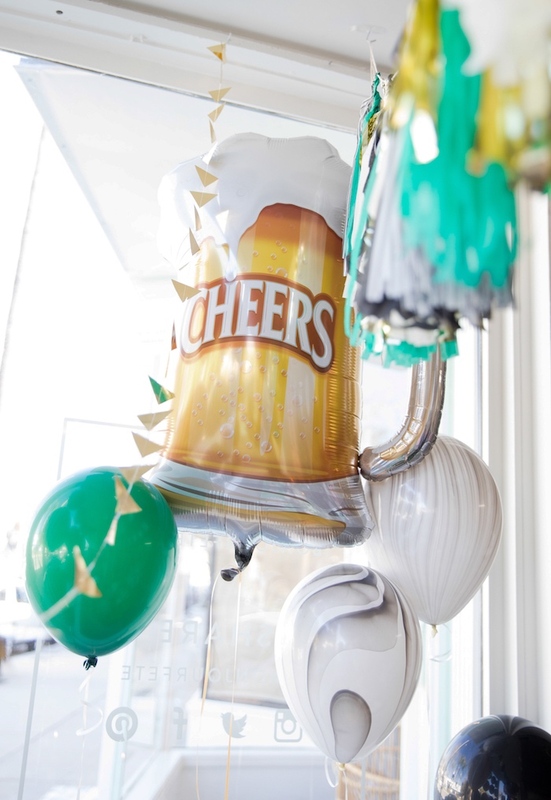 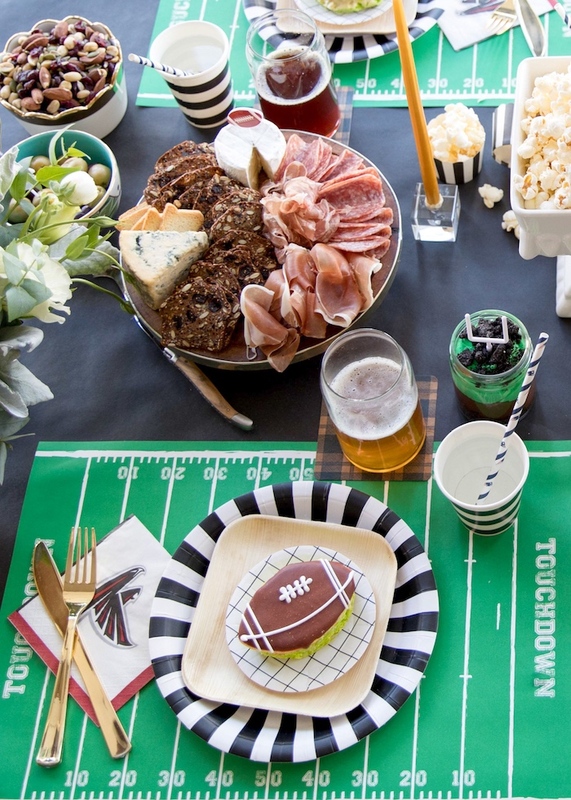 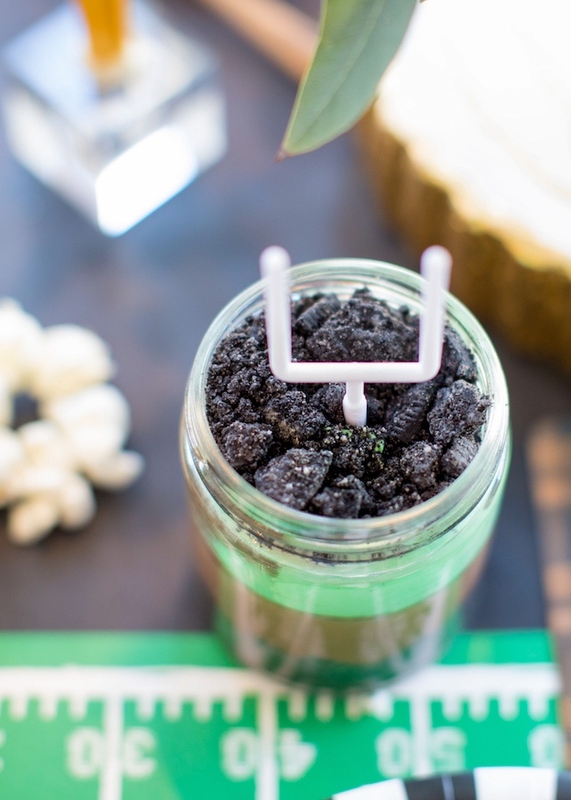 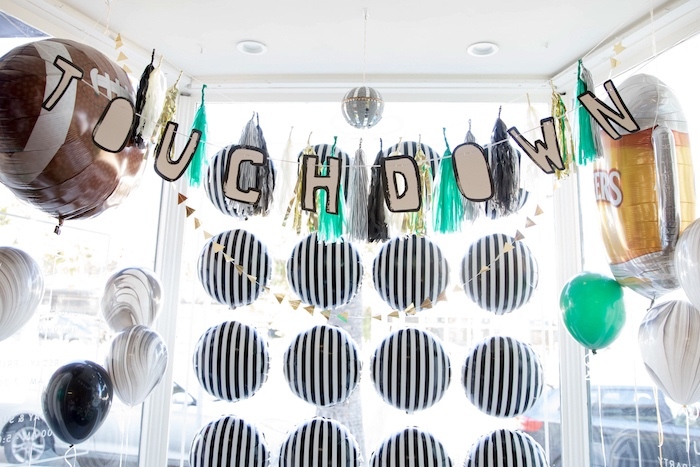 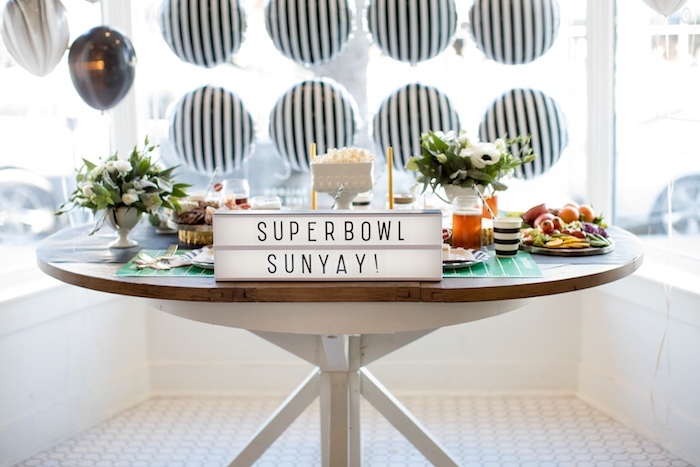 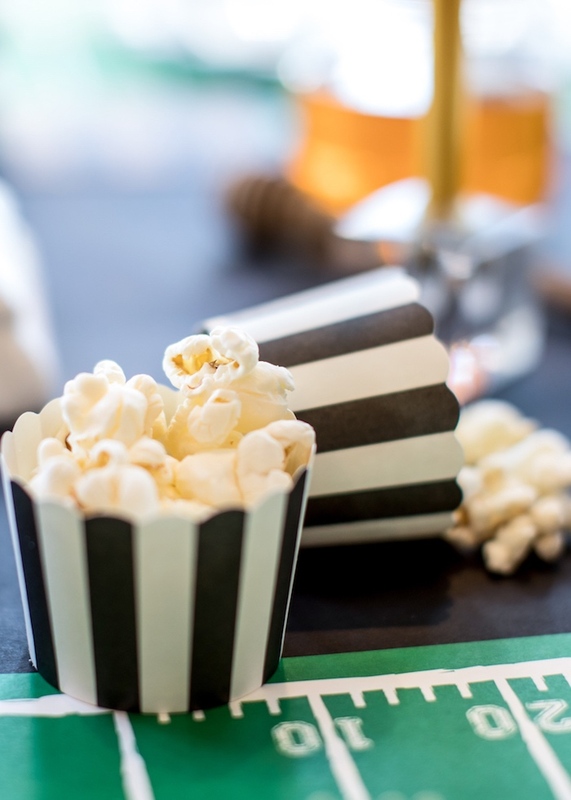 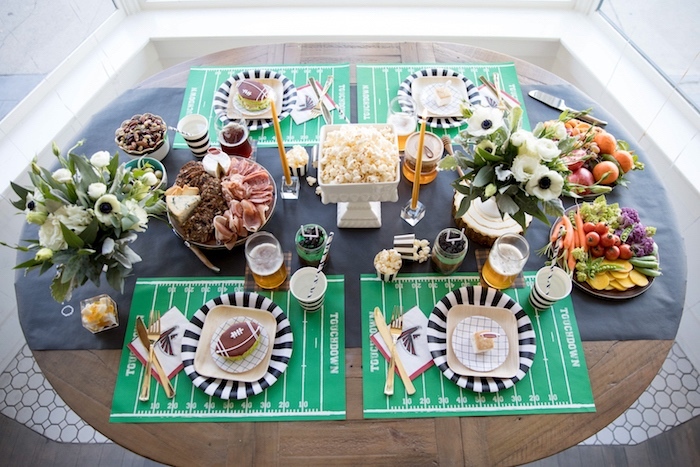 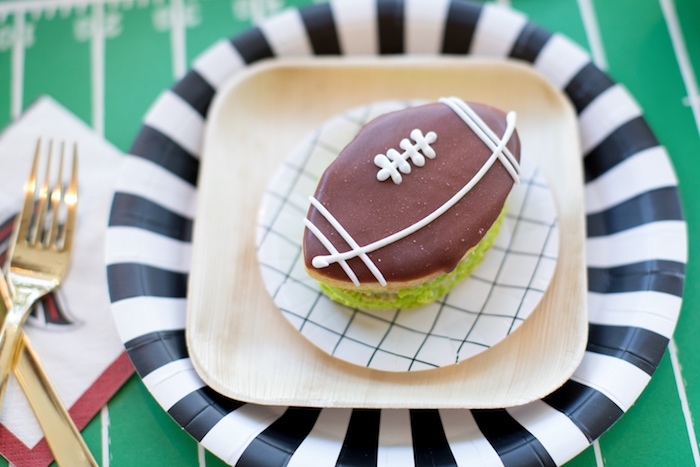 You’ll love the ideas in store included in this SuperBowl Sunyay Football Party by Royale Ziegler of But First, Party! 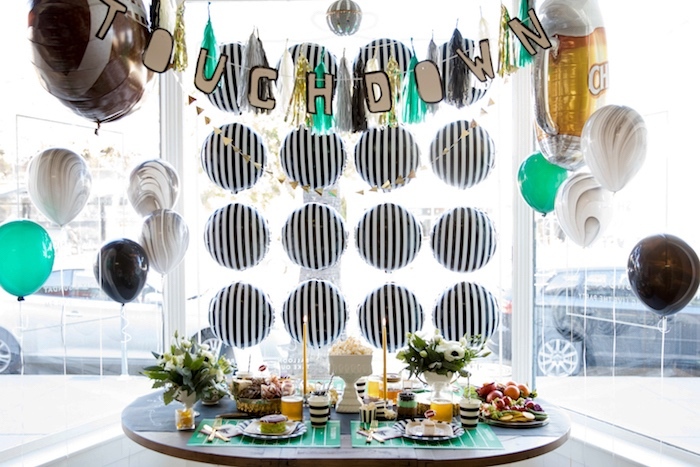 From the adorable football field place settings to the fabulous balloon wall and football themed sweets, this event is sure to win the game! 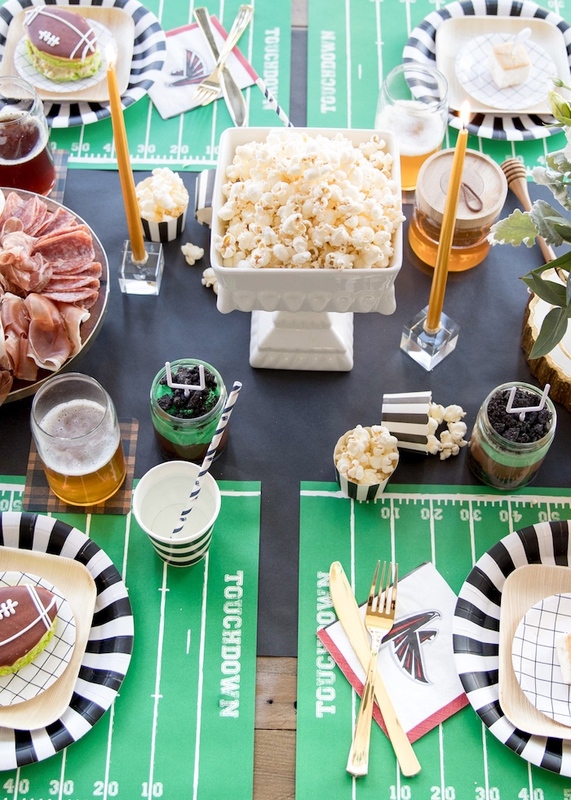 Step Two: Elevate the appetizers. 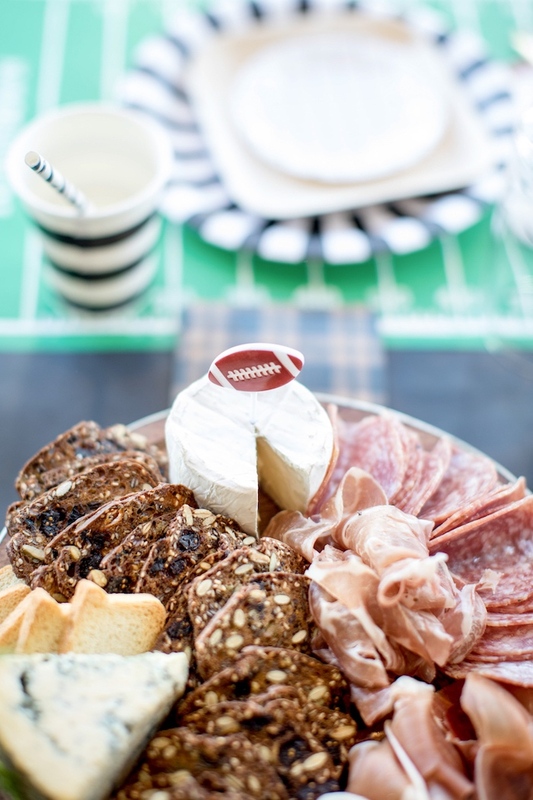 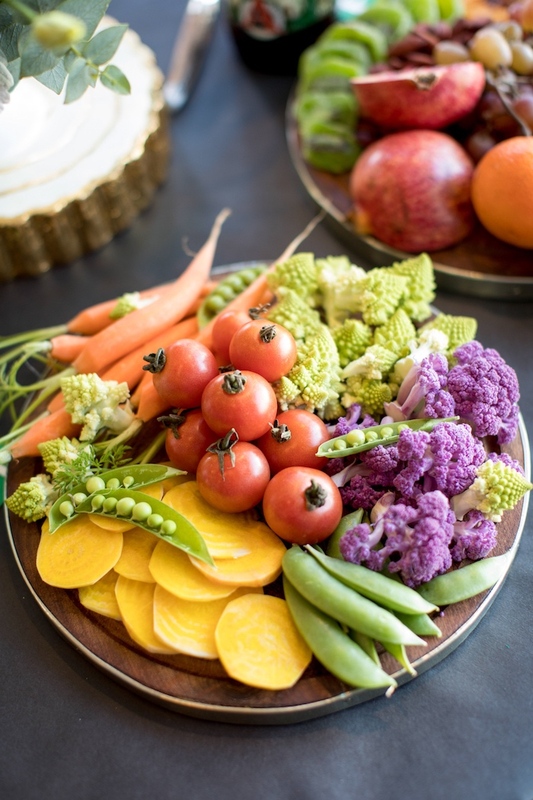 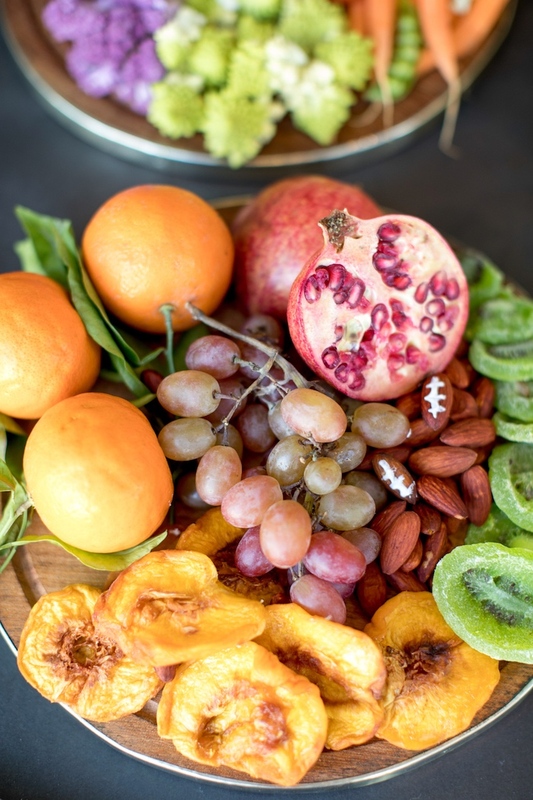 We used the “Art if the Cheese Plate” to help us build cheer-worthy crudités and charcuteries. 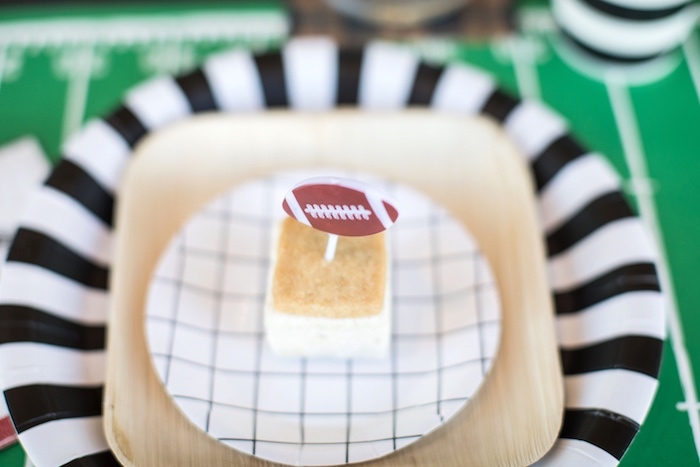 Stick football-themed toothpicks in here and there and lace up your almonds for a little extra oomph!